What do I mean by the phrase, “A marketing strategy that best defends your company”? Protecting your assets with the right marketing strategy results in the shielding and enhancing of your brand, as well as protecting your customer base. Also, my sense is there are two other marketing facets that warrant a great defense: Your industry and your position in it. Another way of putting it is to say that you should want to be No. 1 in a vibrant industry. Not to criticize other marketing tools, the best single strategy to accomplish both – promoting your and industry while getting top-of-mind awareness – is with editorial coverage. Bill Gates made famous this quote: “If I was down to my last dollar, I’d spend it on public relations.” Certainly, there’s ample confirmation of his approach. “But what about social media or search-engine optimization techniques?” you ask. Yes, I know all about the two tools and the eyeballs that they can generate. Those social media and SEO can be very helpful for the short term. That’s not to say advertising on radio or TV isn’t important because it is, especially for certain sectors such as auto and truck sales. Admittedly, ongoing PR is labor-intensive and difficult to achieve on a daily basis. You should also be concerned about the long-term sustainability of your business. So again, editorial coverage is important to lay a foundation for long-term brand value. Gerri Knilans, the principal of Trade Press Services (www.tradepressservices.com), is an expert in this arena. Increases visibility, credibility and name recognition in the marketplace. Gives you tangible materials to post online, tweet, and share through your social media networks. Tests new market sector opportunities. Introduces new products or services. Creates or alters marketplace perceptions. Positions the company as a market leader and your key people as industry experts. Maximizes the ROI from marketing dollars invested. Brings renewed pride, enthusiasm and boosts buy-in of employees, sales agents and other business associates. 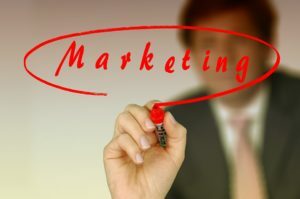 Provides you with a source of new and effective marketing tools to support your sales efforts. What about a long shelf-life? Naturally, don’t forget magazines have Web sites. Links from those sites to your site represent gold for your online brand. Create professional PDF reprints of the articles for salespeople and other representatives to use in their live and electronic sales and marketing presentations. Post article reprints and links to online publications on your website to demonstrate tangible recognition of your expertise. Use social media to share PDFs and links to online articles with your followers. Include reprints in your online and hard copy media kit to promote speaking engagements. Distribute PDFs or hard copy article reprints by electronic or traditional mail with personalized messages to prospects and consumers. So, in your budget allow for editorial coverage. It’s worth noting I’ve known Ms. Knilans for well over a decade as we were members of an association of consultants in Los Angeles. You can trust her valuable opinions. 5 Vital Elements to Help You Aim at Your PR Targets — Even in this advanced age of the digital economy, a sound public relations program remains one of your most-powerful marketing investments. PR can give you power with an implied endorsement from the media. Even if journalists aren’t motivated to give you publicity, a strong PR campaign will help you to circumvent them. How to Leverage the News Media to Brand Your Business — Social media is OK for promotion. But if you need blockbuster publicity, use best practices in marketing. Play a trump card — leverage the news media for public relations. Yes, it’s true that increasing numbers of adults – especially the Millennials – are using social media for their news and information, and for making buying decisions. Public Relations Expert Provides Crisis Management Tips — Appearances count. But universities, presidential candidates and businesses have all demonstrated a lack of awareness about good public relations. A public relations expert explains what they should have done. 11 Tips to Enhance Your Career as an Effective Writer — As a career — whether you’re writing as an author or to generate content to market your business — effective writing requires two attributes. They are dedication and passion.